“The competition for this year’s Blades Awards was the strongest we’ve seen yet,” says Rick Wilson, President of Miva Merchant. “Ecommerce retailers are constantly innovating new ways to deliver incredible creativity and powerful functionality." Miva Merchant, located in San Diego, CA, is a leading enterprise-ready, PCI compliant ecommerce platform. Miva software has been used by as many as 1 million online businesses since the company was founded in 1997. 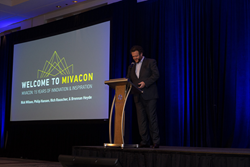 In addition to an elaborate suite of sophisticated management, merchandising, secure payment, and systems integrations features, Miva also offers its customers professional design and development services, plus dedicated hosting. For more information, please visit http://www.miva.com.